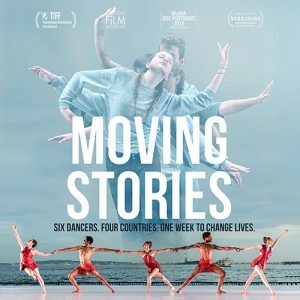 Moving Stories follows Battery Dance’s dancers as they travel to India, Romania, Korea, and Iraq working with at-risk youth through the Dancing to Connect program. With just one week to teach teach the tools of choreography and collaboration to the youth in preparation for a final performance, the film captures the struggle, frustration, determination, and transformation of both students and teachers. 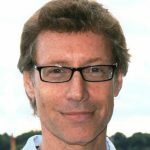 Rob Fruchtman is an award-winning director and editor of documentaries and television. He won the 2002 Documentary Director award at the Sundance Film Festival for Sister Helen, which aired on HBO, as well as three Emmies and several nominations for his work with HBO and PBS. He directed and produced Seeing Proof, about the brutal Khmer Rouge regime and its lingering effect on Cambodia for George Soros’ Open Society Institute. He also made Trust Me for Showtime, about Jewish, Christian, and Islamic boys at an interfaith camp. He directed all 13 episodes of Samurai Sportsman for the Outdoor Life Network and Secrets of Angels, Demons & Masons, based on Dan Brown’s best-selling novels. His last film, Sweet Dreams, made with sister Lisa Fruchtman, about a women’s drumming troupe made up of women from both sides of the 1994 Rwandan Genocide, has been screened and broadcast around the world. Cornelia Ravenal has won accolades as a writer and producer of theater and film. She was a producer of the NY Times Critics Pick Nirbhaya off-Broadway and has won 5 Best Awards at 25+ film festivals. As founder of WIP (Women Independent Producers), she’s an activist for women in the industry. Previously, she worked as a journalist in the U.S. and India. 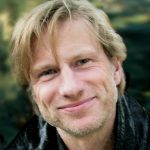 Mikael Södersten has worked on over 60 narratives and documetnaries in the U.S. and his native Sweden. As Scandinavia’s leading script doctor, he has developed winners at Sundance and Tribeca, including Let the Right One In and the Oscar-nominated Tinker Tailor Solider Spy. As a filmmaker, he produced and directed several award-winning shorts and two films broadcast on Swedish TV. 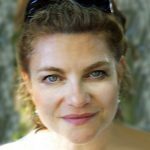 Wendy Sax associate produced Particle Fever (New York Film Festival, Telluride, Abu Dhabi, Audience Award/Sheffield and the Stephen Hawking Award). 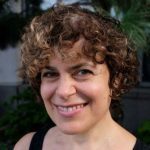 As Artistic Director of IFP / Independent Film Week, work presented during her tenure included Academy Award Winner Born Into Brothels, Mad Hot Ball-Room, and Sundance winner Frozen River. She also co-produced the Sundance winner SongCatcher.